Prathmesh Parab has become new age Rowdy romeo of Marathi films. In his new film “Urfi” he will be again seen as a love-struck bindas boy. 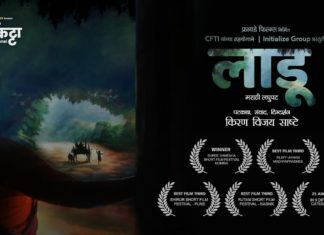 The trailer of Urfi has been launched recently and it has been creating anticipation among audience. Prathmesh’s sheer energy and brilliant screen presence has already made us say wow!! The film is written and directed by Vikram Pradhan. O maria and Dhanak Dhanak songs from the same film have already become smash hit in the youth. The trailer has also been a hot on various social media platforms. A small-time estate agent Deva helps a family to rent a flat and in the process falls in love with their daughter. As family starts to treat him as a family member, the love story blossoms. Erstwhile sad Amruta starts to look at life with a new vision and slowly falls in love with Deva. However, all love stories have a twist and Urfi is no exception. So, what twist comes in this romantic couple’s life and separates them? Better to watch on screen! Mitali Mayekar, a fresh face will be debuting against Prathmesh. Mitali looks very calm and serene in front of hyper Prathmesh, making it as a perfect on-screen couple. Her cute smile and lovely look has already created a fan-following for her. 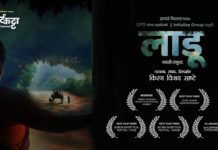 Music has been composed by Chinar Mahesh and lyrics are by Mangesh Kangne and Kshitij Patwardhan. Film also stars Upendra Limaye, Kavita Lad, Milind Pathak et al. The film has been produced by Yuvraj Varma, Sartaj Mirza and Mahelka Shaikh. The film is slated to release on 27 November.